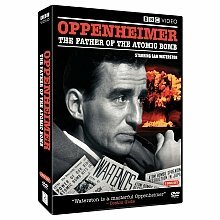 Sam Waterston stars in this BAFTA award-winning seven-part serial drama that delves into the enigma that was J. Robert Oppenheimer, the American physicist often referred to as the father of the atomic bomb. This gripping dramatization explores at length the extraordinary complexity of the scientist's thinking and the dilemma he faced. Within years he was declared a security risk by the American government, only to be awarded with the highest honor in his field by a subsequent presidency. Were the Americans trying to placate an uneasy conscience?